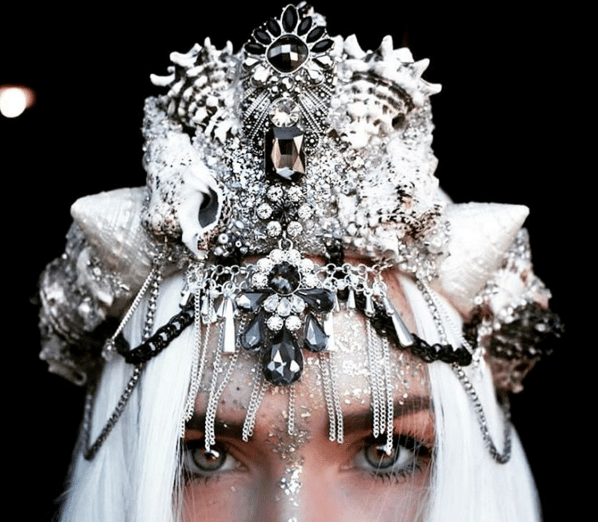 Why everyone needs a mermaid crown in their life. The Vikings wore giant horned helmets, Elsa Schiaparelli had a Shoe Hat, Gaga wore a lobster, and us millennials? Well, we’ve really taken to donning enormous flower crowns to bring that little touch of Coachella to our lives. Flower crowns have become so popular they even have their own Snapchat filter, for goodness sake. 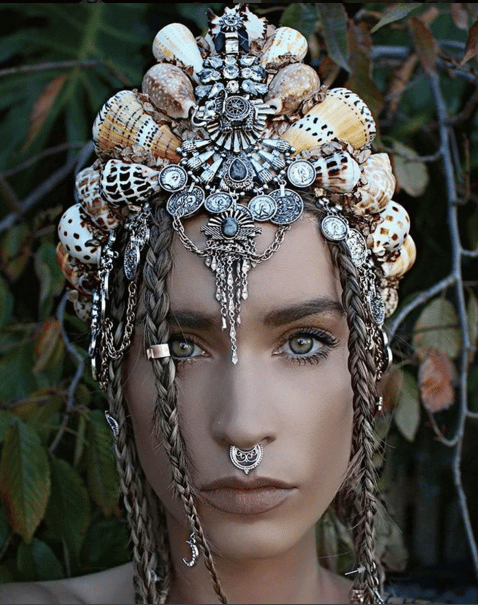 But the supreme reign of the floral headpiece is set to come to a grinding halt with the invention of something even more beautifully inappropriate: MERMAID CROWNS. 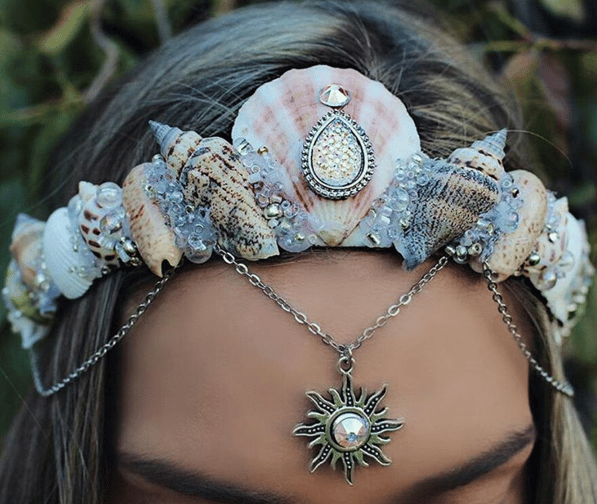 That’s right, sisters: those synthetic flower crowns you’ve been rocking out are now officially being replaced with seashell creations that will have you feeling less Ophelia and more Ariel. 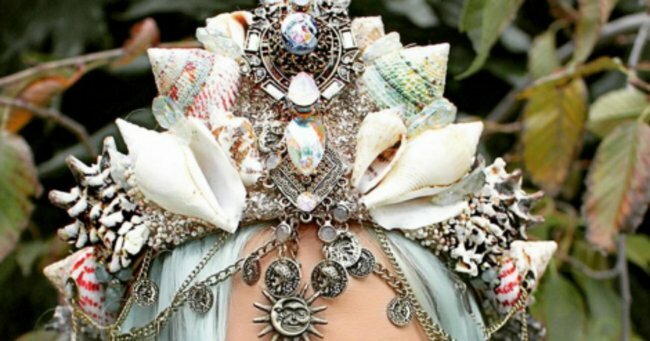 And it’s all thanks to a young Aussie florist, whose handmade shell mermaid crowns have gone bananas online. 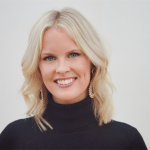 Chelsea Shiels (yes, as in ‘sea-shiels’) is a 27-year-old florist living in Melbourne, and has been whipping up delicious flower crowns for a few years now, but has only recently starting selling her shell creations on her Instagram account @chelseasflowercrowns. 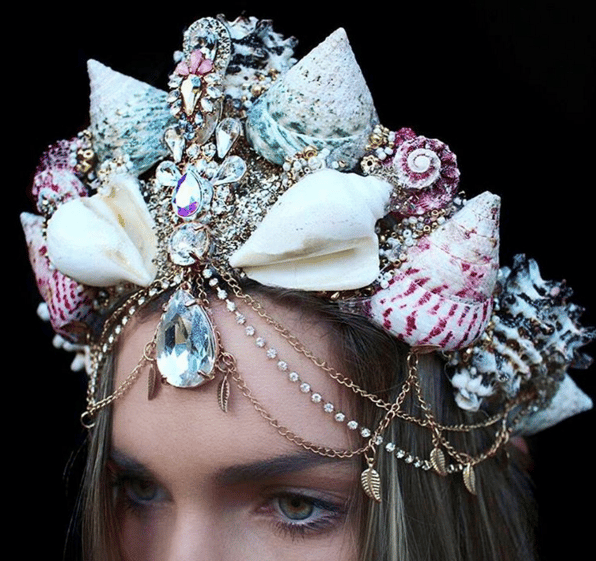 These mermaid crowns are exquisite. Laden with seashells, jewels, beading and intricate detailing; Chelsea’s crowns have been so popular they’ve actually sold out. 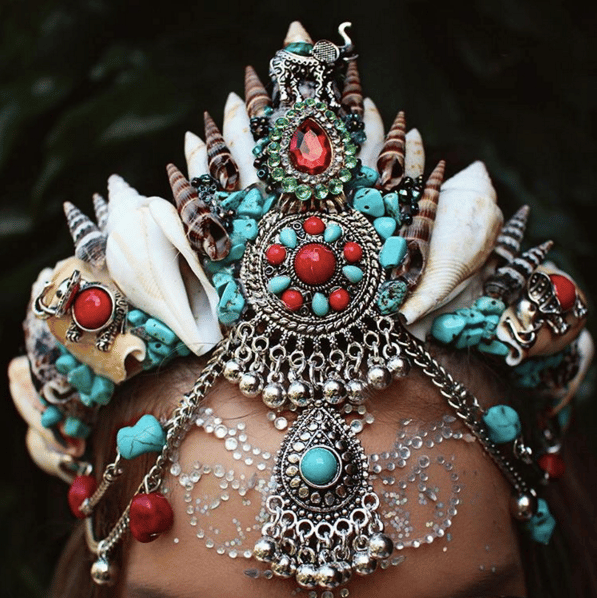 Unbelievably, she had been working on her collection of mermaid crowns for a few years before she decided to take the leap and start selling them online. 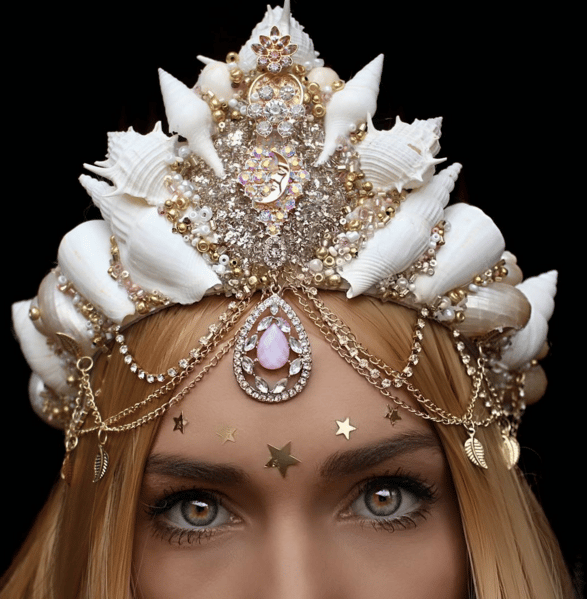 The crowns vary from smaller, headband-style varieties for the more subtle mermaid; or larger, Poseidon-style crowds for the more adventurous mermaid. They come in a range of colour palettes and shell styles, and while they are absolutely over the top, they are also extremely beautiful, with exceptional handiwork. 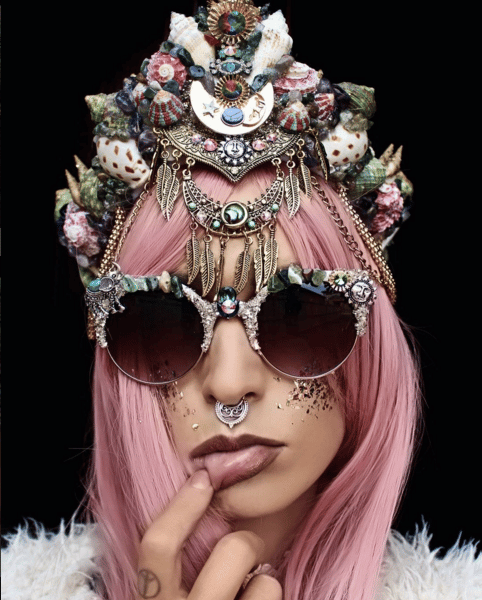 And if you’re ready to step up your mermaid level from ‘Splendour In The Grass’ to full ‘Burning Man’ vibes, Chelsea also makes shell-encrusted corsets, bras, and uh, sunglasses. Perfect for the moment you decide to throw off the shackles of land mammals and return to your underwater cave once and for all. We see this being MAJOR news for hipster brides, and beach-chic baby showers. Or just for those who are kinda over being a human for now – don a crown, fill up the paddling pool, and just flop around for a while pretending there’s a small but wise crab singing show tunes in your ear.